Anyone who has lived in the SouthEastern United States (and likely many other parts of the world) knows about fire ants, their swarming when disturbed, and the excruciating pain their bites cause. Now is the time for payback! 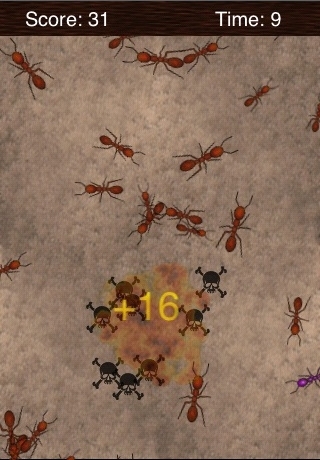 Ant Squish is a simple and fast paced game where you "squish" as many ants as you can. 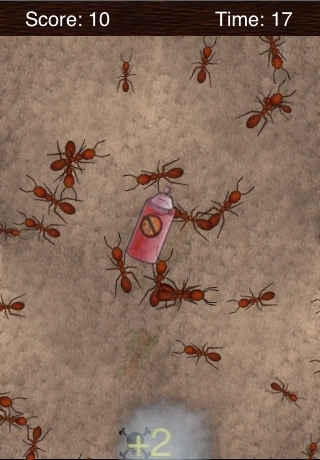 Start by flicking the ant pile to cause the ants to swarm out, then squish and squash as many as you can. You even get to use many items most every kid has dreamed about to help you eliminate them! 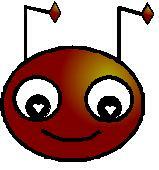 Look for the "special" ant!